Friday: In the morning, we tested our knowledge of forces and in the afternoon, built rubber band powered cars. 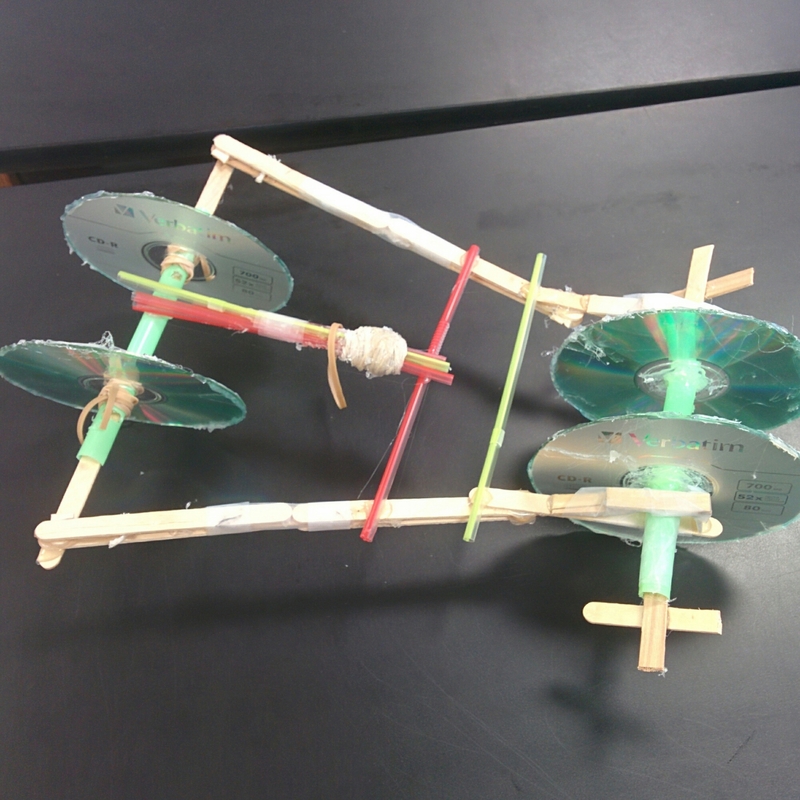 I built alongside the kids and all of us struggled to construct an axle that spins and also stays in place. Mechanical aptitude isn’t our strong suit, I suppose. Ooh and the Supreme Court also announced its ruling on marriage equality Friday! My marriage is no longer illegal here in Georgia.